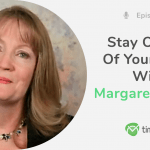 Stay on Top of Work With Susanne Madsen! 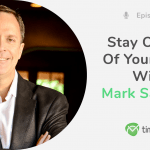 We’re back with another episode of our podcast on how to stay on top of your work. I had a great pleasure of talking to Susanne Madsen, a coach in project leadership. The author of two books on project management and project leadership. 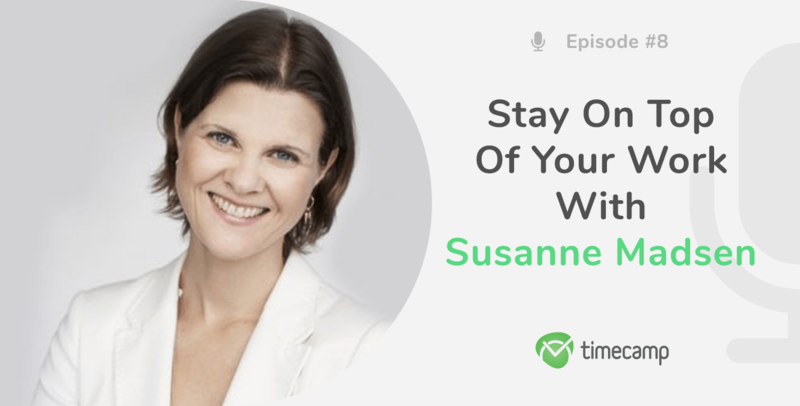 Listen to the podcast to get the best tips from Susanne! Find out what does it mean to be a good project leader, why empathy is important in working with people, and what books and podcasts inspire Susanne in her work! Hi guys! Welcome back, this is Kate and today my guest is Susanne Madsen, an internationally recognized project leadership coach, trainer, and consultant. She is the author of The Project Management Coaching Workbook and The Power of Project Leadership. Susanne is the Founder and Director of Susanne Madsen International Ltd.
She works with organizations globally and across industries to help their managers become better leaders and gain control of their projects. Kate: Hello, Susanne, how are you? Susanne: Hello, Kate, I’m very well, how are you? Kate: I’m fine, thank you! I’m very happy that you can be here with me today. It’s my pleasure. Kate: So to begin with, I’d like to ask you what made you chose this particular area of expertise in your career? And what are your professional interests? 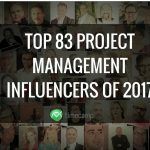 Susanne: I really have, I would say, two areas of expertise because I was a project manager when I started out in project management 20 years ago. I am actually originally Danish but now I’ve lived in England, in London for 18 years. Though, I started my career in Denmark as a project manager and I actually didn’t choose it, I kind of fell into it. I think many project managers do that. There was a gentleman where I worked, he was coding websites and I began to sell them, work with the customers and organize getting the work done so I fell into project management in that way and then after I moved to England it became more serious, I would say, and I became a consultant and I worked in financial services for a number of years. So I was in project management for a good solid 15-18 years. And then I felt a lot of pressure, a really did, I was running a really big project and I was quite stressed and my project sponsor kept saying to me “relax Susanne, you’re not gonna get fired”. But the two project managers before me had been fired and the survival of the department I was working for actually depended on this project so I thought there was a lot of pressure. But it so just happened that I attended a leadership course, a 5-day leadership course. And that basically changed everything for me because in this leadership course we were learning about our personal preferences, our own leadership starts but we were also being coached. So we were being given a one hour coaching session. And I really had a big a harm moment in that coaching session because I came to the session, you know, you have to come with a problem, and I came with a problem “hell I’m exhausted, what should I do? Should I choose something different from project management?” And I actually ended up with feeling vey empowered that I can make changes. It doesn’t have to be exhausting being a project manager even though I work in financial services. And it was so empowering for me, I didn’t have the exact answers, I just knew that there were the answers out there. And I began to study coaching after that. And one thing led to the other, I became a coach after ten months later. And I began to coach project managers in parallel with my day job as a project manager. And one thing led to the other and at some point I thought I have to do this full-time. So 5 years ago I made a decision to step away from the project management. You’re asking also about my professional interests, my growing interest and passions that I found was project managers need leadership and coaching became a tool for me to help them create more awareness about how they’re working and create better choices. And so 5 years ago I stepped away and now I run project leadership workshops full-time. I run project management workshops and I coach. I do a lot of coaching via Skype as well. Kate: That’s great! So as a coach, what basic rules or tips would you give to people who want to be successful in project management and leadership? Susanne: That’s a good question! From my point of view, I see a lot of project managers who are very good with the task side. So they may have a qualification, or they may not have a qualification, I think that’s the basic. The basic step is to get the task side right. So be good at planning with a team and understand benefits, risk management. There are some basics. And when I coach project managers, we sometimes begin with that. But a session or two later we don’t. Normally that’s not the problem for project management. Mostly they understand the task side. Above that is really about people. And that’s where I coach most project managers, gaining the buy-in from stakeholders. Gaining the buy-in from the team members. So one thing I find very important is collaborative planning. Don’t just sit and plan on your own because you feel as a project manager it’s your area of expertise, you have to do it. But involve the team, do it with the team. Otherwise, your team is not gonna feel that they have a stake in it. They’re not gonna feel engaged or involved so they won’t really care. And the same with the stakeholders. The stakeholders are actually clients, it’s very, very important that we have a good relationship with them and we understand what they need, what they want. They’re not just some annoyance somewhere. They’re really the reason why we do projects, the stakeholders. So that’s what I really work with people on, it’s to add that people element to the task side. Kate: So when you talk about team and working with people, clients, I think about TimeCamp, because we are software which helps to manage tasks and projects. But also helps to manage people and time. Do you think the use of such tools in managing a team and in work with clients? Susanne: Absolutely. Could you tell me a bit about the tool? Kate: It’s a time tracking software which basically tracks work hours of employees and there are many functions such as budgeting, billing, task planning, and project and task management. Susanne: I think it’s very important that we get the basics right. Things such as tools can help us to get the basics right. After all, our project is about delivering something on time and doing it to the required quality and doing it to the required budget. And so these aspects need to be tracked. We don’t have infinite time, we don’t have infinite money. And there needs to be an answer to tracking that and monitoring so absolutely but it’s not the only answer. Some people use the tool and they think that’s the only answer and they don’t think they have to communicate with anybody. Or they do it just to tick the box but we need to apply thinking to everything we do so I always think of tools and techniques as a starting point. Of course it shouldn’t be the ending point. There’s more to it. Kate: Still when we talk about team management and the leadership, what is a perfect feature of a good leader? Do we need certain strategies and practices and techniques or not really? Susanne: Another very good question. A good leader in project management, a good project leader is somebody who has a good amount of emotional intelligence, amongst other things. That’s one of the things that really distinguish and old-fashioned manager to a really good leader. So manager is more somebody who tells people what to do and expects control and monitor stuff. Whereas a good project leader is somebody who is more focused on what’s in it for each individual person. Why would each person on my team want to be part of my project? What’s in it for them because, yes, we need to deliver a project but if my team members are also learning from new cool technology and it motivates them, great! It’s a win-win situation. And the more win-win situations we have, the better. So the emotional intelligence I’m talking about, there are actually 4 aspects of it. The first aspect is for me, each individual to understand my own emotions, what’s going on in me. You know, most of us live in our head. If you ask people what do they feel, they’re like “What do you mean what I feel, ask me what I think.” But we gotta be aware of feelings because we’re actually human beings and we have a lot of feelings and so in a project if you don’t like a certain stakeholder or you get provoked by a team member, it creates a reaction in you. And so we need to be aware of how we’re feeling. And the second step is actually to manage those feelings. Somebody might insult you but it doesn’t mean you have to insult them back. Somebody may ask you to d something last minute, and you get anxious and just wanna say “No I can’t do it! Can’t you see I’m busy?” And you might think “Is that the right way of responding?” So emotional intelligence is noticing how we feel and being aware of our response so that we have the best effect on the team. And the two last aspects are doing the same with other people. So being able to feel what’s going on for others, it’s called empathy. So being able to walk in somebody else’s shoes and how do we do that? We do that by asking questions and listening. Talking less, asking more and listening. And then use that to build good relationships and trust. Good leadership without that does not exist. Kate: That sounds really inspiring to respect people and take care of them and their feelings. That’s a good advice I think. So let’s change the subject a little bit. You’re a woman in the business world. I’d like to ask you if it’s difficult to be a woman in such difficult world which is basically filled with men. How do you feel as a woman in a business world? Susanne: Well, there are as many women as there are men. So I’m gonna challenge your perception because you used the world difficult. And if we see this as difficult we will find it difficult. I have of course always been a woman I’ve always done what I do. I’ve loved to work in corporate. And I’ve really enjoyed every aspect of it, I’ve never ever experienced anything negative in fact probably the opposite. People have often found it refreshing to have a woman work with them. I even now get people who ask for women project leadership facilitators’ because they don’t want this all to be men. So I think it depends how we look at it and I think it really depends on our own attitudes. You know, I coach a lot of women and men and unfortunately what I find is that a lot of people have low self-esteem. And they doubt themselves and if we doubt ourselves, then other people can feel it and that often means in our work environment some people will try to take advantage of that. They might bully you. Although bullying is a strong word, they might just do a very slight form of that. They might try to control people or whatever. And if you’re a woman you might see that as discrimination but I think men also feel that. They also feel sometimes ignored or disrespected. But they call it something else. So I think it all comes back to how we feel inside ourselves. So my advice to people would be work on your own self-esteem, we all have a light to shine, we all are beautifully unique in what we do. And if we really feel that, and some people can’t even look themselves in the mirror, it’s really a shame, if we really have the strength in yourself – love then I think other people will feel, will respect us more because we are strong in ourselves. Whether we are men or woman we have to begin with ourselves and put ourselves in high regard. Kate: That sounds s amazing. So let’s talk about your books. You’re the author of two books “The Power of Project Leadership” and “The PM Coaching Workbook”. Can you tell us something more about them, what are they about? Susanne: The first one I’ve wrote it came out in 2012, it’s a big one, it’s a workbook. So inside there are spaces for people to write answers. Im trying to see if I can find a page where there are spider diagrams for people to fill in answers and walk through with gap analysis. So basically what the first book is, it’s the idea is that it’s a book for people who may not have the money for a coach. So they take the coaching workbook and they are coached through how to become a better project manager. So it’s not a book that teaches how to coach people in projects, it’s the other way around. It’s a book that coaches people through a project. So it really begins by looking inwards because that’s really what we do as coaches, we help people find out what their strengths are, what the vision is, where they really want to go and in the book a create a gap analysis so where are you know, there’s actually 360 in here you can give that assessment to your peers and stakeholders and they can give you feedback. So on the one hand you have an assessment of where I am currently and on the other hand, where do I want to go? This gap, there may be a gap, and so based on that gap the rest of the book guides you through practices that will help you to close that gap. And so that came out in 2012 which is a while ago now. The second book is quite different. The second book I was asked by a publisher to write. It came out in 2015 and I wrote it the first year I was working for myself. And it’s really about the leadership aspects of project management so not so much about the tools and the techniques but really more about the teams. And there are 7 keys in the book to project leadership. And the first one is be authentic. The second one is lead with vision. Then we have improve and innovate. So there’s a lot in the book how to create innovative teams, how to really create a different mindset and not just be controlling about the project. Then the fourth key is about empower the team. The fifth key is about the stakeholders, getting close to the stakeholders and the six key is about solid foundation. So that’s actually about the tools and techniques because it has to be said but it’s a minor part of it. And then the last, the seventh key is to work with intent, it’s really about focus. It’s about a time management focus which I think you’re interested in as well. But I have to tell you that my latest book has also been translated into Chinese. I can’t read it, of course. But it looks different, it’s the same book, just in Chinese. Kate: Congratulations! I’m happy for you, that’s great! Kate: So you’re the author but the author also gets some inspirations from. What inspires you, even in your work, working with other people, to be the person you are and to write what you write and maybe books you read? Susanne: So there are some books that have really inspired me but I think on a daily basis, maybe not even on a daily basis but on a weekly basis it’s really actually podcasts. So I don’t know if they’re competitive podcasts to yours, they probably are but I like People and Project Podcasts it’s an Andy Kaufman, I think he is definitely North American, whether Chicago or somewhere in this vicinity. Then there is Timothy Ferriss or Tim Ferriss, his written the book “The 4-Hour Work Week” which is one of the books I have here as well, I have found that very inspiring. And it’s all about productivity, it’s all about personal productivity and the reason why the book is so thick is because this became a bestseller. It is very interesting. And after it became a bestseller, people wrote to him about how they implemented the ideas and so in the second edition he put all of those readers’ stories inside the book so I think it grew. But you know, with hundred pages. And his podcast is really good he interviews high performance so interested in peak performance. He interviews sports stats, business starts there’s not really a limit for who he interviews just people and their habits and he’s very interested in all source of tips that will make people high-performing. In respect of the area that he works in. So I love his podcast . Then another, I think classic project management podcast that I listen to is the project management podcast by Cornelius Fichtner. He might have been one of the original guys, one of the first ones to podcast in project management. So I like podcasts, I like the TED Talks but of course they’re more inspiring, rather than I think productivity project management related. The books that have inspired me. I think not so much in project management, more I take other areas and bring it in the project management, and of course as a coach, and I would recommend for people who want to know more about coaching, this one is called “Coaching for Performance” by Jong Whitman. And it’s really, really good and it’s about coaching in the business environment. This is not about project management but the principles of coaching are really the same. No matter what area we’re in it’s about asking good questions relating to others, really listening. And he has got in this book a lot of examples, as example dialog, which I like. When you read the book it really makes you just wanna sit down and get your work done. And another very different type of book that really helped me as a very stressed out project manager is this beautiful “Mediation for Busy People.” And obviously the titled appeal to me when I bought it because I thought “that’s me, I’m busy, I need meditation for busy people” And it’s such a beautiful book. Which isn’t just about technique, it’s more about reading it makes you slow down and the mindset is really nice. And the last book I have here which has meant a lot to me is “Be Your Own Best Life Coach.” It is Fiona Harrold. It’s really for somebody who would like to be guided through what’s important for them in their life. If they are not really sure if they are on the right path I think it’s a great book. So they would be my recommendations. Kate: Okay I think I have the last question to you or maybe actually two more. The first one is what is the number 1 rule that you use in your work that you cannot imagine your life without? Susanne: Really, I think focus is the most important thing for getting my work done because I’m out a lot, running workshops and that’s obviously different rules, it’s all about connecting with the participants and listening. But when I’m a t home it’s about getting things done and I have a blog. I blog a lot, as well. So my blog susannemadsen.com for the last 6-7 years, I think I’ve been writing a blog every month. And I’m sure people will recognize this. We all have some tasks that we tend to procrastinate on. And for me it’s blogging because when I write a blog it’s a different mode, I need to sit down and I need to be more creative. It’s not just doing stuff, it’s different, writing is different. And so the way I kind of can help myself and maybe other people can too is approaching it by maybe structuring it, what am I gonna write about, what are some other topics, what are some other headings. Do some research so I then gently approach the topic if I find it difficult to get done. And then, but focus it’s all about focus. For me it works to actually put music on and listen to music in my headphones. At the kind of music that takes along in the background for me. It just means I’m getting my zone. And I think whatever people need to do to get in the zone, for me it’s there are some other things. So focus. Focus is what helps me get my work done. Kate: My last question is actually connected with what I just asked you. The podcast is titled Stay On Top Of Your Work. How do you stay on top of work beside of focus? Susanne: I guess if we have focus we can get it all done but then I also have to do-lists, I have my to-do list right here. So I just have my to-do list right here. I have a paper-based version. I’ve made ticks when it’s done or I strikethrough. Then I after a week I may right a new list. And I think different things work for different people. Some people like to have it electronic because they can access it anywhere. The old-fashioned one works for me. There’s also the 10-minute rule which means once you start something, you will have a tendency to want to finish it. So that can be a god one for people as well. But basically eat the frog is what I talked about before, jest getting things done early in the day with the single minded focus. Multitasking is a myth. We can’t actually do several things at once. The brain is just not built for it. So it’s really all about doing things in blocks of time. So set an hour aside for this, then do something else, then set another hour aside for something else. So create some variety but have blocks of time where you do stuff and give yourself a reward. So go for that cup of tea when you’ve done that whatever it is that small rewards that we can give ourselves. I think another day is about doing things we love to because when we do things we love to do then work is something we want to complete and we look forward to, writing that blog or to preparing tat workshop or doing that project because at the end of the day we’re passionate about delivering value to the clients. Kate: Susanne, I’m really happy I could have you here today. Thank you for the interview and I wish you a lot of success and happiness. Susanne: Thank you, you too Kate, it was a pleasure. Have a nice day! Bye. Kate: And if you guys want to find out more about Susanne Madsen, you can find the information about my guest under the podcast. So make sure check it out and follow her on social media. And I see you next time. Thanks for listening! Bye bye! Twitter || Linkedin || Website where you can find more information about her! Stay tuned for the next episode in which I’m going to talk with Julius Solaris! Start-ups! Do you value your customer feedback? TimeCamp+Sheetsu!